First founded as King Cole, Inc. by Leigh Blake and John Carlin, Red Hot was established in 1989 in response to the devastation wrought by AIDS on a generation of New York artists and intellectuals. Carlin, who first pursued a career as an Entertainment lawyer after receiving a degree in comparative literature from Columbia University, a Ph.D. from Yale in the same subject, and a law degree from Columbia had an "improbable dream: to create an AIDS charity album with pop stars singing Cole Porter songs." In 1990 the dream was realized when Red Hot + Blue was released, featuring such stars as David Byrne, Annie Lennox, Tom Waits, U2 and Erasure. Carlin, 43 at the time, couldn’t believe he pulled it off: "That CD was inspired by naïveté and sheer will." 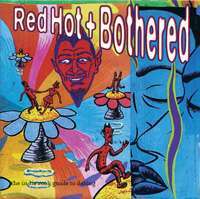 Red Hot + Blue ultimately sold over 1 million copies worldwide, and raised millions of dollars for AIDS charities such as AmFAR and ActUp. The release of Red Hot + Blue became the template for many charity projects that followed. Its one-and-a-half-hour TV special, hosted by Richard Gere, Carrie Fisher and Kyle MacLachlan aired on World AIDS Day during prime time on ABC. "The high concept: to match some of the most exciting performers in hip-hop with some of the finest performers in jazz… The result: a landmark album that brilliantly harnesses the fire of rap and the cool of jazz, transcending genres and generations." 2002: Red Hot + Riot is a tribute to the great songs of Fela Anikulapo Kuti. It combines contemporary musicians from across the African Diaspora ñ Urban America, Brazil, Cuba, Europe and West Africa ñ including his son, Femi Kuti, and drummer, Tony Allen, along with a cross-section of some of the most creative musicians in the world. The collaborations are not just musical, but also symbolic of how people need to work together to achieve the positive life force embodied in Fela's music and spirit. In 2009, Red Hot released its latest compilation Dark Was The Night, an indie rock album that generated donations of over $1 million. It features exclusive recordings by a number of independent artists and production by Aaron and Bryce Dessner of The National. The title is derived from the Blind Willie Johnson song "Dark Was the Night, Cold Was the Ground," which is covered on this collection by the Kronos Quartet. On 26 October 2009, it was announced on 4AD's website that profits raised by the compilation for the benefit of AIDS/HIV awareness and prevention amounted to £423,212 ($668,358), a sum that represents all the profits from worldwide sales for the first half of 2009. A Dark Was the Night Live concert followed at Radio City Music Hall on May 3, 2009. The concert was released as a DVD and included footage from the show, as well as exclusive rehearsal scenes, interviews and promotional performances featuring Andrew Bird, Dirty Projectors, The National, Colin Meloy, David Sitek and Yeasayer - plus more from David Byrne, Bon Iver, My Brightest Diamond, Sharon Jones & The Dap Kings and Feist. Red Hot is currently partnering with the non-profit organization Advocates for Youth (Advocatesforyouth.org) to sponsor a national film contest, RedHotAnd.us (RedHot+) that runs through August 31. The cause-related contest gives young artists and filmmakers an opportunity to explore and present their own unique experiences growing up and being impacted by HIV and AIDS. Through short films and PSA submissions, the RedHot+ contest serves as a catalyst (and soundtrack) to look at HIV and AIDS through a contemporary lens . Contest winners earn grand prize money and travel to NYC to participate in Red Hot special events in support of World AIDS Day in December 2011. ↑ "Archived copy" (PDF). Archived from the original (PDF) on July 23, 2008. Retrieved April 6, 2009. ↑ Christopher John Farley, "Music: Beautifully Blurred", Time Magazine, August 30, 1999. 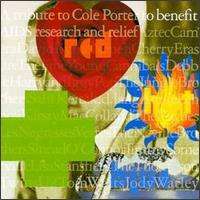 ↑ "Johnny Cash, Jimmy Dale Gilmore with Willie Nelson - Red Hot + Country - Amazon.com Music". Amazon.com. Retrieved 2016-04-10. ↑ "Red Hot + Country". Webcache.googleusercontent.com. Retrieved 2016-04-10. ↑ "Browse All - Images from the History of Medicine (NLM)". Hm.nlm.nih.gov. Retrieved 2016-04-10. ↑ Andersen, Nick (June 29, 2011). "Red Hot Organization Hits Brazil in 'Red Hot+Rio 2′ Album". Wall Street Journal Speakeasy. Retrieved June 29, 2011. ↑ "New CDs in Review, 6/28/11". The Denver Post. June 27, 2011. Retrieved 2011-06-28. ↑ Amos, Shawn (September 5, 2011). "Play>Skip: This Week's New Music". Huffington Post. ↑ "Master Mix: Red Hot + Arthur Russell". Red Hot. Retrieved 2016-04-10. ↑ Hart, Kylo-Patrick R. (2000). The AIDS movie : representing a pandemic in film and television. New York [u.a. ]: Haworth. pp. 1–3. ISBN 0789011085.